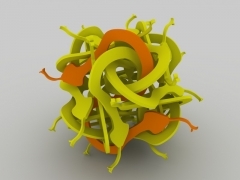 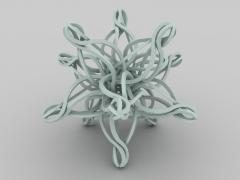 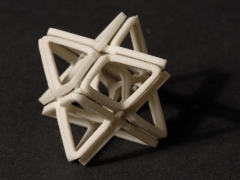 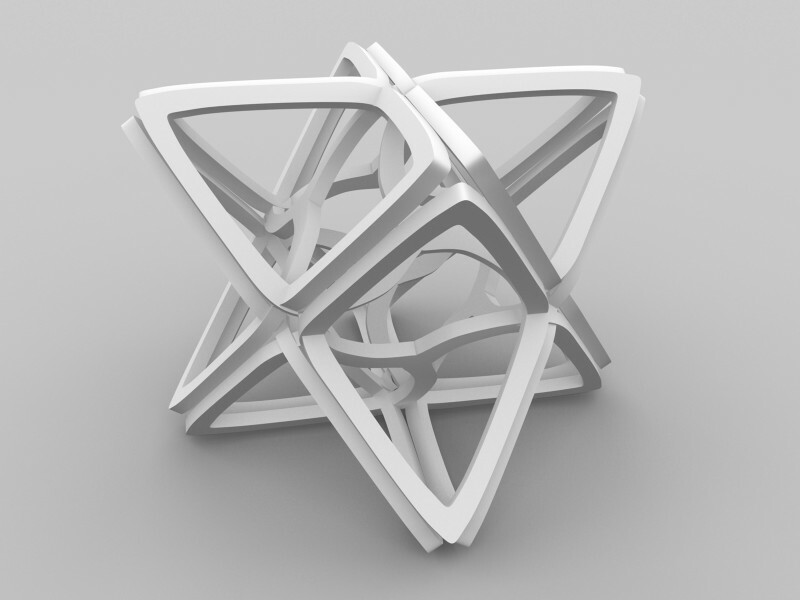 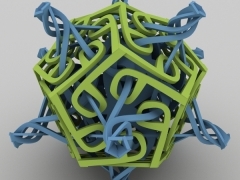 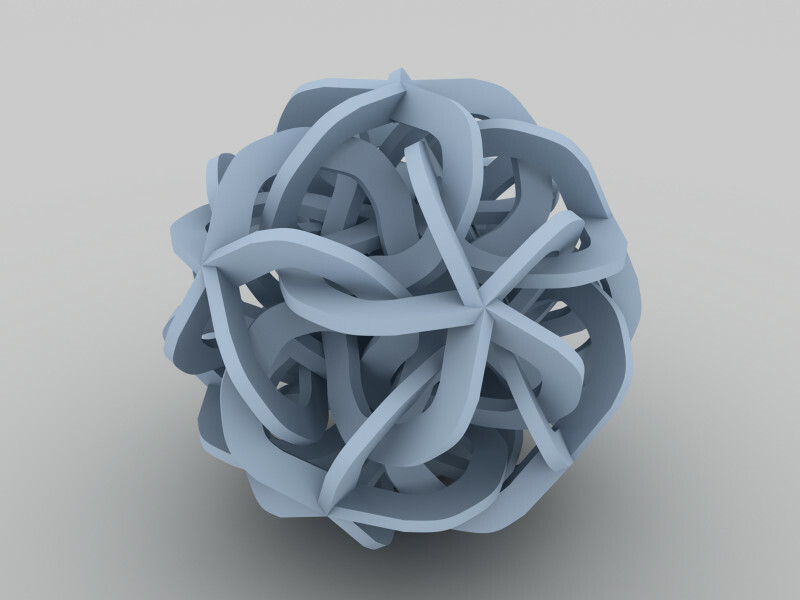 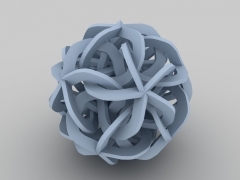 This technique allows to design geometrical sculptures based on symmetrical polyhedra. 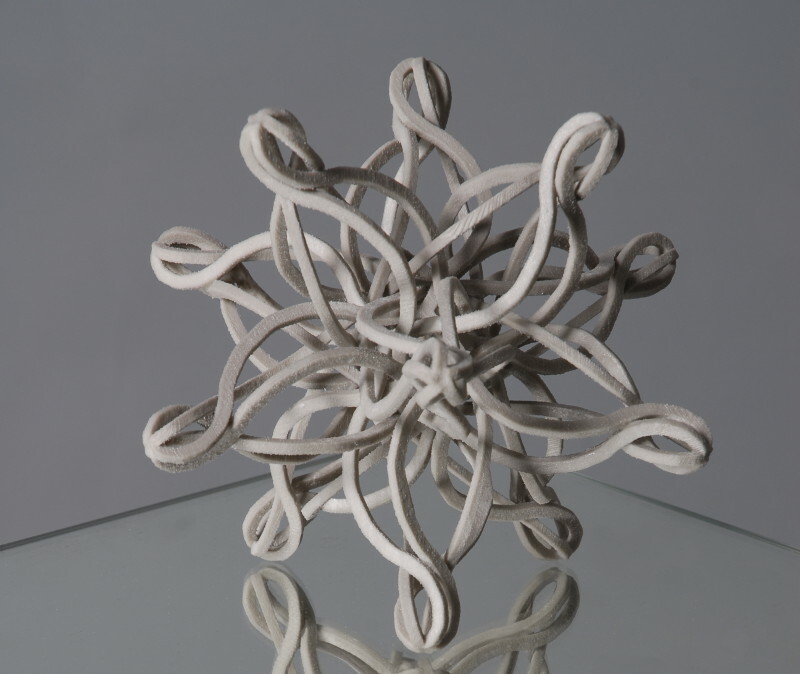 Sculpture is defined by a shape of “component” and by spatial symmetries. 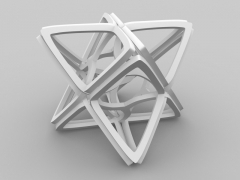 This technique allows user/designer to ineteractively design the shape of component as well as adjustation set of symmetries. 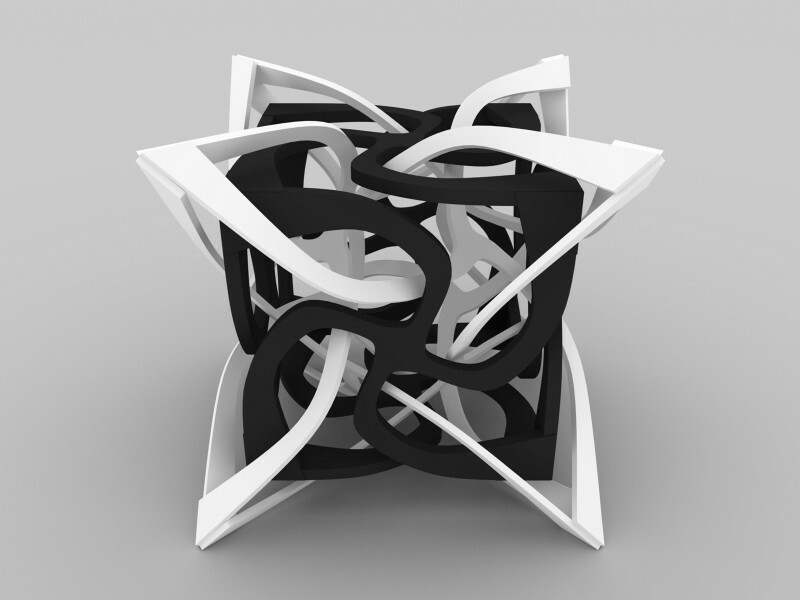 Direct spatial input via motion tracking and stereoscopic output simplifies the design process as the user can work directly with 3D shape of sculpture. 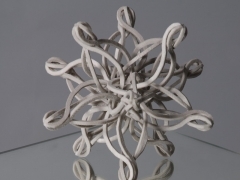 We have been inspired by a Geometric Sculptures of George W. Hart. Especially by a paper Sculpture from Symmetrically Arranged Planar Components. 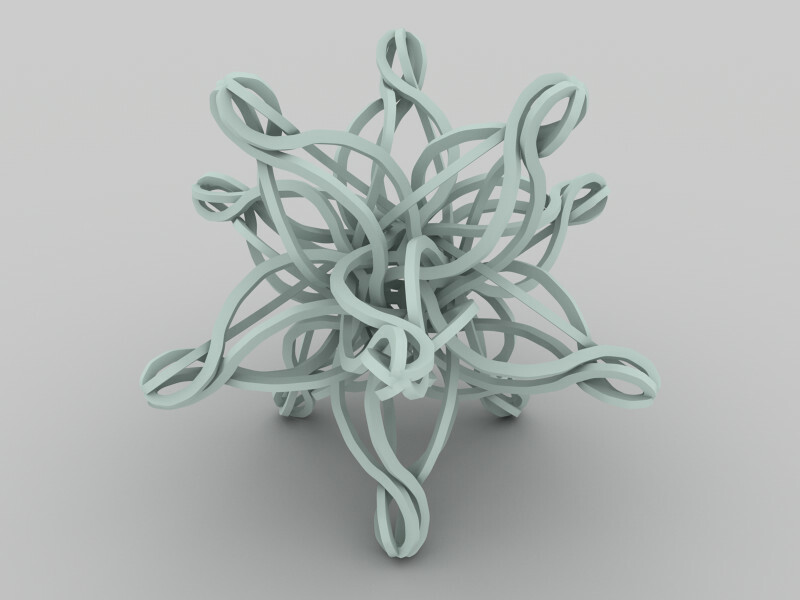 Geometrical Sculpture realized via 3D print technique. 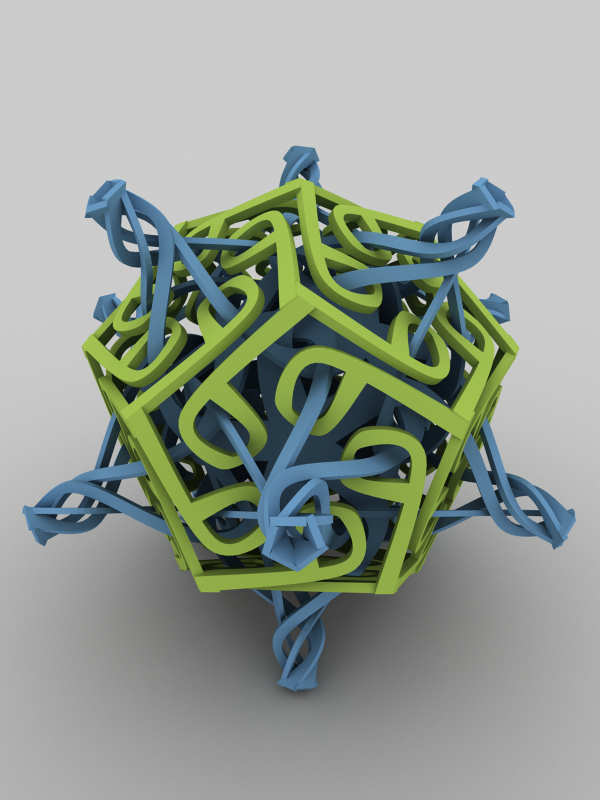 Design of sculpture was created using "Polyhedra Sculptures"
Rendering of Gemetrical Sculpture "Dual". 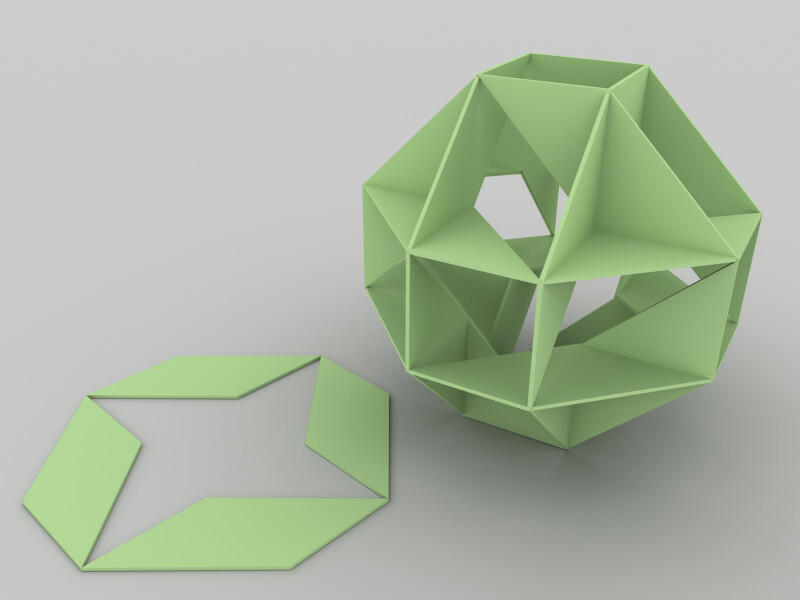 A design is based on duality of hexahedron and octahedron polyhedra.